jacando Match’s careers page can be integrated into company websites to provide potential applicants with a seamless application experience. Job applications can be submitted with a single click to upload all application documents, which are then used to pre-fill forms for the applicant to check and adjust before submitting their application. Social media registration with Xing and LinkedIn is also supported. The matchmaking algorithm automatically analyzes applicants according to user-defined requirements for each job, and displays results using a traffic light system to give users at-a-glance insight into the most qualified candidates. jacando Match’s application management tools give users an overview of applicants and hiring process status, and allow users to dismiss inappropriate applications, invite candidates to interview, and forward resumes. Applicant details can be stored in a database and searched when new vacancies are approved. Predefined onboarding workflows aim to streamline the onboarding process for new employees, and provide information on onboarding status and required documentation. jacando’s reporting functionality allows users to generate cross-product reports and visualize individual processes. With jacando Match it is possible to centrally store templates for job advertisements for our HR users. This makes it easier to create jobs in the stressful daily business in a fast and uncomplicated way. The communication with the applicants is also professionalized and gives the applicant a good feeling. In addition, job postings are automatically displayed on the website and updated automatically. This saves time and money. We had many questions from our employees and managers during implementation - it should be emphasized that jacando will support you during the training and can be contacted at any time if you have any questions. Some Problems with interfaces to show the right job offers online /offline. The layout and preview of the job offers is sometimes not so easy to handle. The workflow and the user-friendly frontend. We can also handle all personnel matters from the application to a professional applicant search via Jacando. With the additional "apply directly" function it is also possible for applicants to send us their application in just three clicks. All application workflows in one system, so we do not need differnet software for our recruiting processes. 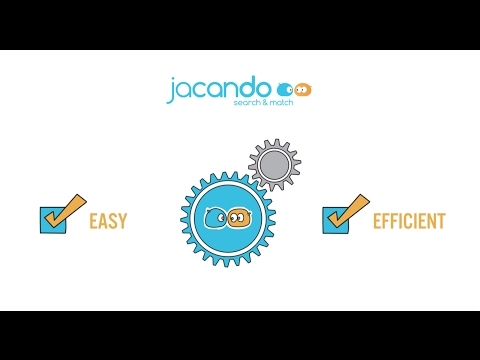 The use of jacando Match enables us to carry out an efficient applicant management. The tool offers a wide range of functions and is constantly developing considering customer needs. Despite the numerous functionalities the software is structured, easy to use and therefore absolutely user-friendly. No cons so far. The tool offers a wide range of functions and is constantly developing considering customer needs. Despite the numerous functionalities the software is structured, easy to use and therefore absolutely user-friendly. Pricing is based on number of vacancies. For more than 250 vacancies, contact Jacando for pricing. Users can design and manage custom careers pages which can be integrated with company websites to provide applicants with a streamlined application experience. Candidates can submit applications with a single click to upload application documents, and forms are pre-filled in the second step of the process for applicants to adjust before submission. The matchmaking algorithm can be customized according to vacancy requirements, with applications automatically analyzed and at-a-glance information on their relevance presented using a traffic light system. Onboarding of new employees can be accomplished with the predefined workflows, with insight into required documents and onboarding status. The integrated management tool allows users to search for suitable candidates in their database to reach out to for new vacancies, or for internal job management and succession planning. Below are some frequently asked questions for jacando Match. Q. What type of pricing plans does jacando Match offer? Q. Who are the typical users of jacando Match? Q. What languages does jacando Match support? Q. Does jacando Match support mobile devices? Q. Does jacando Match offer an API? No, jacando Match does not have an API available. Q. What other apps does jacando Match integrate with? Q. What level of support does jacando Match offer?